Observation - Rock Rose - UK and Ireland. 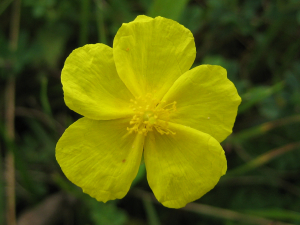 Description: Small yellow flower found at the bottom of a disused quarry, now a nature reserve. Small yellow flower found at the bottom of a disused quarry, now a nature reserve.